Hensler’s is a family-owned, sustainable farming operation located in scenic Warren County. Over the years, we have grown from a small sweet corn table alongside the road to a thriving farm market and greenhouse business. We are open seasonally, from April through October. The season starts with the greenhouse bursting with every variety of flower you can imagine. Soon to follow are all of the freshest vegetables and fruits that make cooking and eating healthy a breeze. The farm market is also home to one of the best gift and home decor shops in the area. Beautiful and tasty jars of jellies, jams and canned goods line our shelves. You can also be sure to find one of your favorite varieties of organic raw-milk cheese. 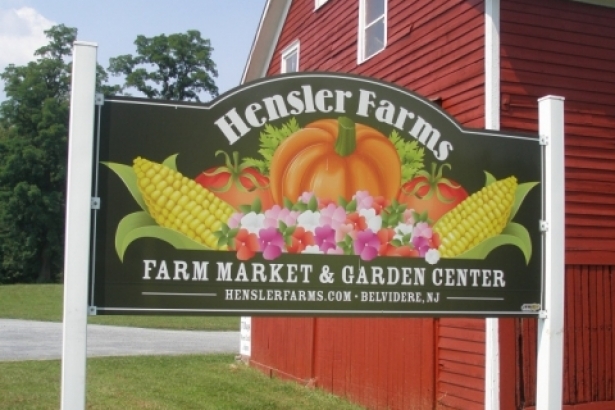 Make Hensler Farms one of your go-to places for all of your local produce needs.